Ilya is a liberated young woman, she works for Edgard to collect valuable metals. Her parents died when she was young, she is mute since her birth . 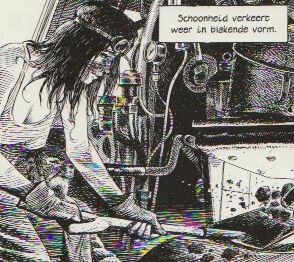 After Leon van Bel rescued her when she was caught stealing metals, she travels with him on his quest for the 12.004. She is a good dancer and also a very good mechanic 1). 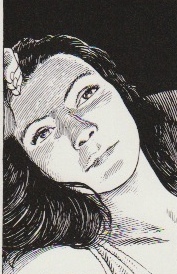 She is modeled after Ti Mai by François Schuiten.